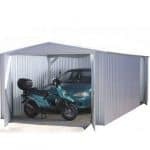 This 10 x 10 steel framed metal shed also has a strong vinyl plastic cladding over it. 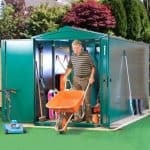 This means it is perfect for storing your house and garden items, keeping them safe and dry. 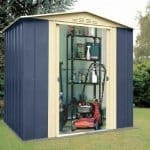 The PVC, which runs along the outside of the building, is fire retardant and durable. 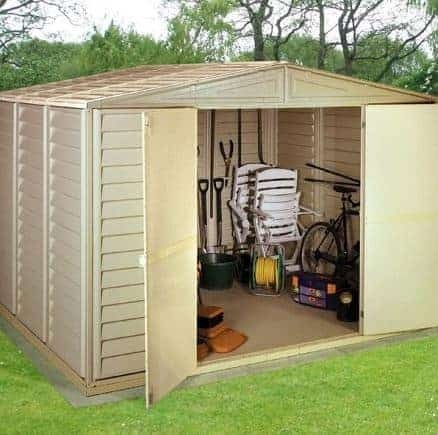 It is also fully waterproof. 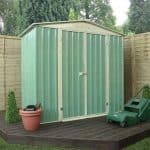 The shed is also supplied with a 15 year anti rust guarantee. 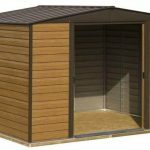 With this resistance against water damage, and its ease of build, this is the perfect shed for the garden that needs to store larger equipment such as large lawnmowers and other equipment.